West Virginia Democratic congressional candidate Richard Ojeda knows a little about channeling voter anger. Hell, the title of one of the most striking ad spots in his campaign, is titled "Angry." "Ladies and gentlemen, we have been sold out," says Ojeda, a Trump-voting military vet built like a barrel with biceps. "We've been sold out by people like Nancy Pelosi, Mitch McConnell, and the Washington insiders." In other words, Ojeda, running in a conservative district, is not just arguing that Republican Senate Majority Leader Mitch McConnell sold you out. He's doing the same with Democratic House Minority Leader Nancy Pelosi. “Nancy Pelosi is an absolute train wreck,” he's said. 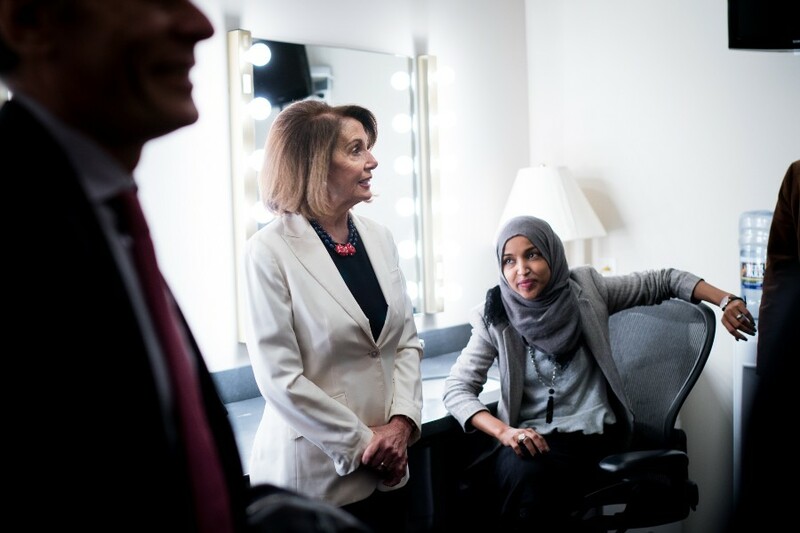 And he's not alone: In June, Politico counted at least 20 Democratic candidates who had promised that, if Democrats took the House, they would not support Pelosi for speaker of the House. Yet Cathy McMorris Rodgers' challenger Lisa Brown is not among them. Instead, Brown's arguing that, if she's elected to Congress, she'll be able to use her vote for speaker as leverage. In one sense, Nancy Pelosi has been a successful leader — she managed to corral a wide swath of uneasy Democrats to pass Obamacare, a law that featured health care provisions that even Republicans like Sen. Ted Cruz are promising to protect. Yet she's also presided over the devastation of the Democratic party, as they lost nearly 1,000 seats at the state and federal levels of government during the Obama administration. Within the American public, Pelosi has a large number of detractors, but few supporters. Only 27 percent of Americans think Democrats should keep her on as a leader. And in the first quarter of this year, according to the Atlantic, Pelosi was featured as a villain in a third of all Republican ads. Promising to oust her, then, is a seemingly cost-free way for Democrats in red districts to showcase their independence without actually taking any Republican policy positions. But Lisa Brown, trailing McMorris Rodgers in a solid red district, declines to say whether she'll follow suit. “I don’t know yet," Brown says when asked whether she'll vote for Pelosi. "I don’t know who else is running. That’s the kind of decision that I wouldn’t and shouldn’t make until I'm there and have the chance to talk to other people of what kind of leadership team we can put together." She says she'd like to see Northwest representation on the Democrats' leadership team or maybe moderate Democrats from agricultural districts. Not only that, but she argues that a vote for a leader is not something you should just give away, when you might be able to get something in return. “Anybody who wants my vote is going to have to talk to me about what committees I want to serve on,” Brown says. She's familiar with this sort of back-room dealmaking. After all, she saw it first hand when she became Washington state Senate majority leader. “That’s how it goes," Brown says. "I ran for leader. I know how this works." Brown suggests she'd have similar conversations with Pelosi and other leadership candidates if she's elected. "I will want to maximize my ability to be an advocate to Eastern Washington," Brown says. "I wouldn’t give my vote away until I knew what those options look like." In other words, Lisa Brown is running a different kind of red-district race. She's not running as an angry grizzled anti-politician like Ojeda. She's not running as an Obama-style grassroots inspirational figure like Ted Cruz's opponent Beto O'Rourke either. Instead, she's running as, well, a veteran politician. She's using her state Legislature experience with hammering out behind-the-scenes deals, to argue that she has the savvy to navigate through the halls of power. And, her pitch goes, she can use those skills to bring home wins for Eastern Washington. If, that is, she manages to win. In Washington state's 5th Congressional District, that's a long shot — even this year.